As a childminder I spend time planning and gathering up items for fun, cheap and resourceful play. As Florence is getting bigger I now try and think of different ways to entertain her. 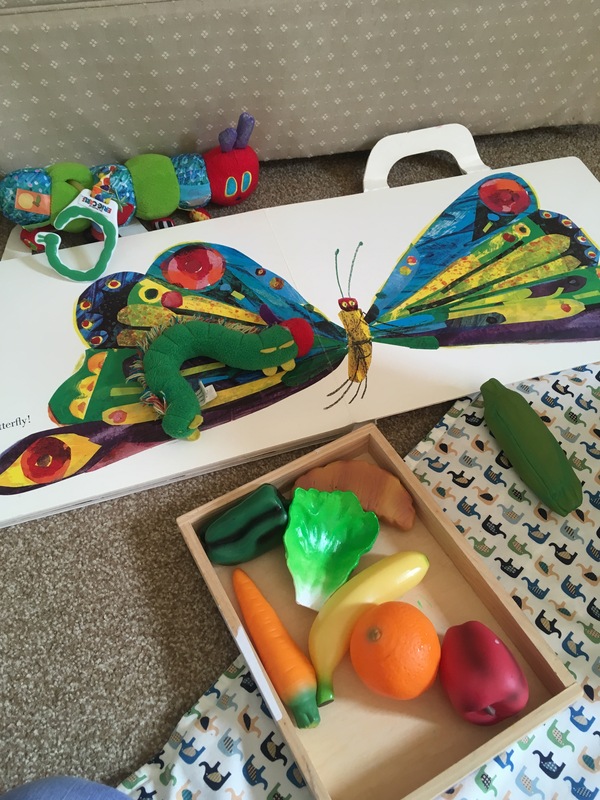 After a big hunt at a local toddler group, I decided to extend the bug theme and dig out the great book by Eric Carle 🐛 Along with reading her the story and using our toy hungry Caterpillars to tell it, I also put out some toy fruit and veg for her to handle and chew! 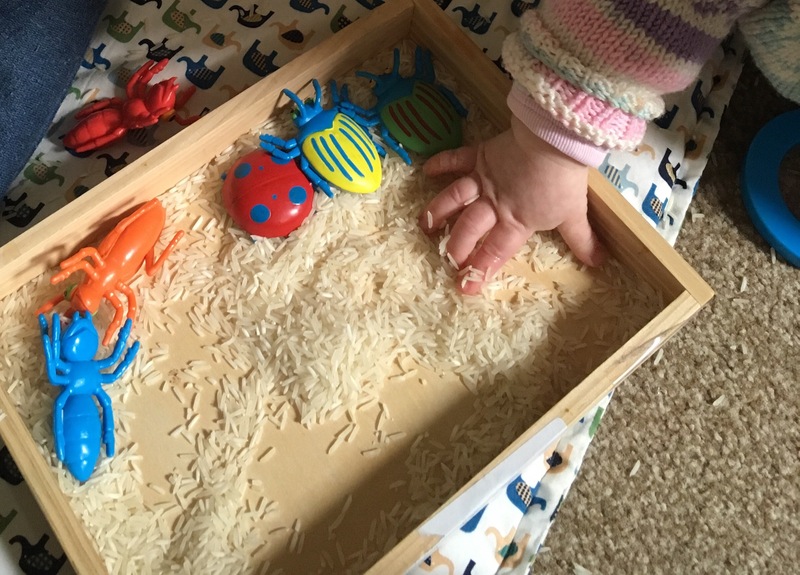 We also put our Melissa and Doug bugs in a small tray of cooked spaghetti and uncooked rice for sensory play. 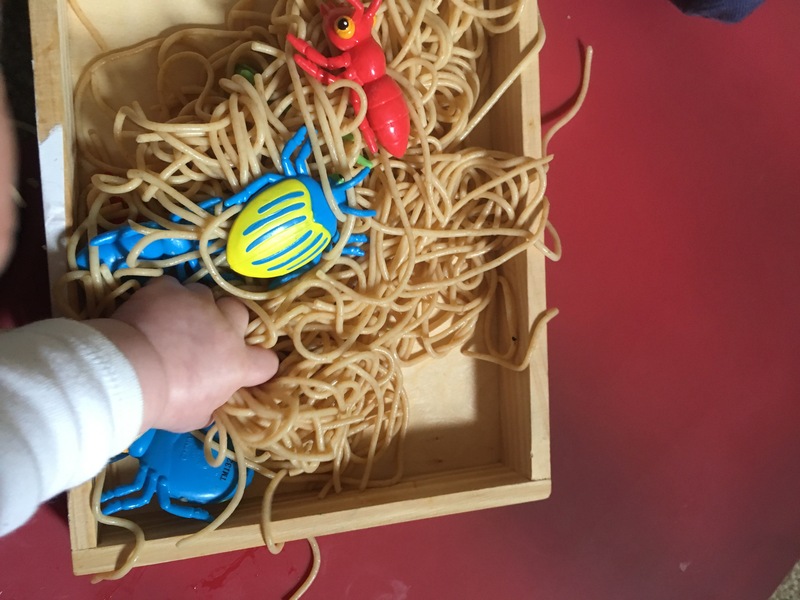 I was surprised how interested she was with the sounds and texture of the rice and also the texture and taste of the spaghetti. It was all really easy to do as I didn’t need to go out and buy anything; we had it all to hand at home. I got to share a lovely book with my children and then let them explore and investigate afterwards, so I felt like I had been a good Mummy and that they had done some lovely things that day. To extend this play further for them or for an older age group I would do messy activities with the bugs such as the water tray, dirt tough tray, playdough, cornflour play, bug treasure hunt and also refining motor skills by using tweezers to pinch the bugs, and lastly a bug hunt through the woods with magnifying glasses and binoculars, something we have done many a time with our bigger ones. The Baby-Led Weaning recipes – Daddy attempts! "SeaLife Blackpool Review and Exotic Pet campaign"